CITY of Bayswater and Town of Bassendean residents need to brace themselves for increased itching and the threat of blood-borne viruses following last week’s deluge. The heavy rain and high water levels in the Swan River have provided mosquitoes with ideal breeding conditions in foreshore wetland areas. The City of Bayswater looks after a 10km river foreshore, which includes many wetland areas, and the Town of Bassendean has reported flooding at Point Reserve and high water levels at Bindaring Park and Ashfield Flats. 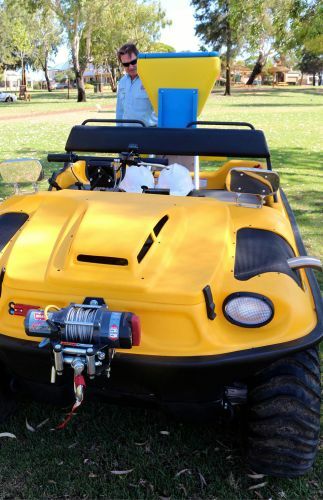 Mayor Barry McKenna said the City has a mosquito control unit that uses an amphibious all-terrain, six-wheel drive vehicle and specialist equipment to tackle the nuisance. “Our mosquito control unit has been active since the start of the mozzie breeding season and is already acting to tackle the spike in numbers we’re likely to see following the unseasonable rain and high tides we’ve experienced,” he said. Cr McKenna said “biting insects don’t recognise local government boundaries” so they also worked with the Town’s health service officers in to reduce mosquito numbers. Mosquitoes can carry diseases including Ross River Virus. To protect yourself, avoid areas where mosquitoes are most active, cover up, put on insect repellent, ensure insect screens around the home are fixed and remove stagnant water around the house.